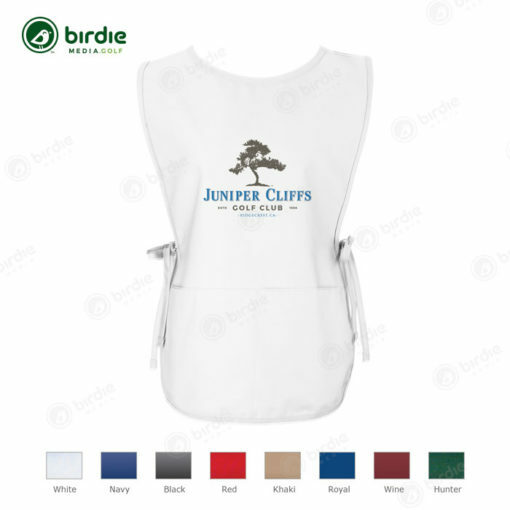 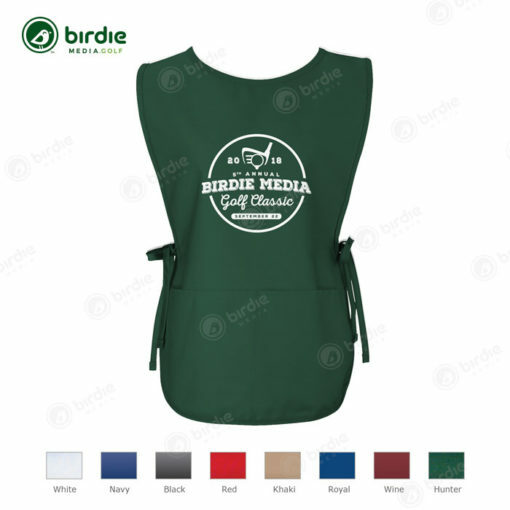 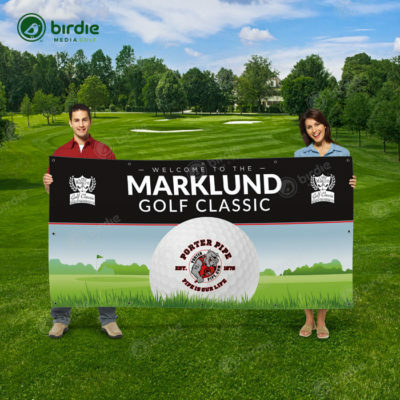 The machine washable poly/cotton blend golf sponsor caddie bib is offered in a variety of colors and features a screen printed logo across the front & back chest area. 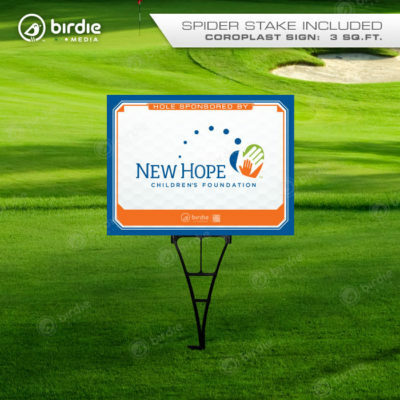 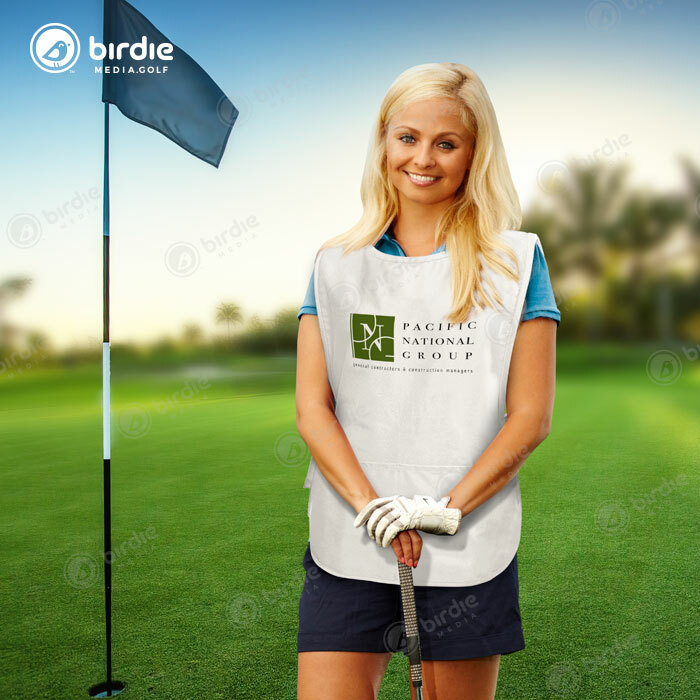 These golf tournament caddie bibs feature two (2) front pockets and side ties for easy closure. 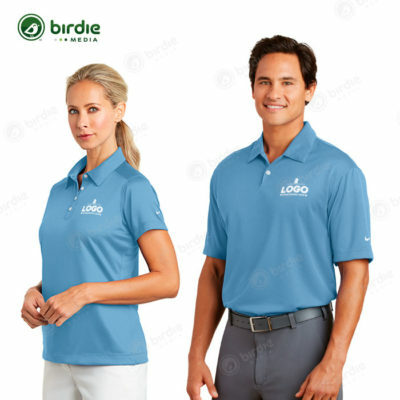 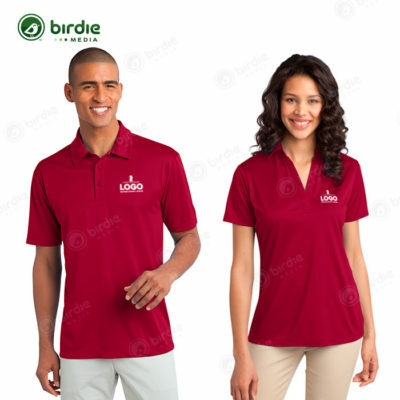 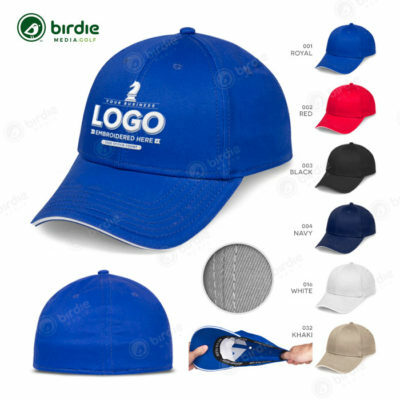 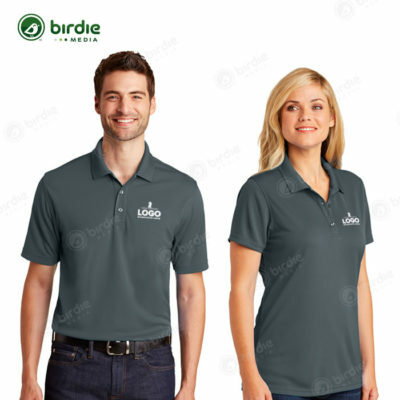 Available in both regular and tall sizes and offered in eight (8) popular color choices including: White, Navy, Black, Red, Khaki, Royal, Wine and Hunter. 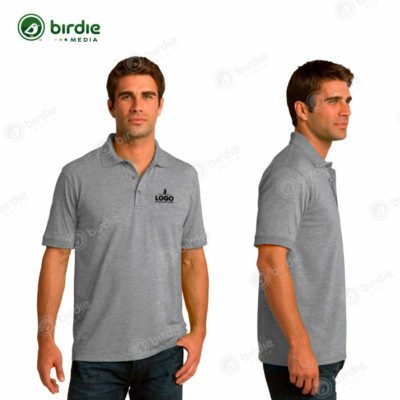 Fabric: 65% Polyester / 35% Cotton 7oz.